Completely non-lolcatty here, but it’s way full of win. Sometimes captions are just superfluous. 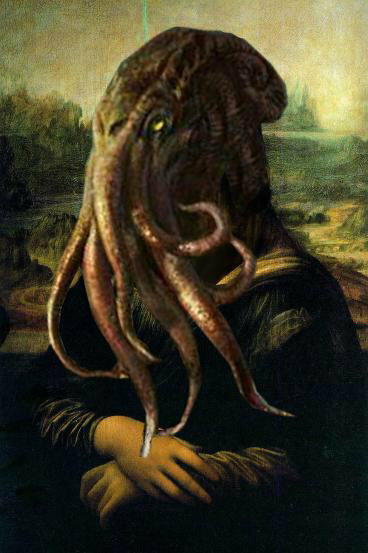 Generally I don’t go for the Cthulhu’s-head-on-someone-else’s-body, but this is sublime. And her smile remains mysterious in a death may die kinda way! oh god that’s really scary.